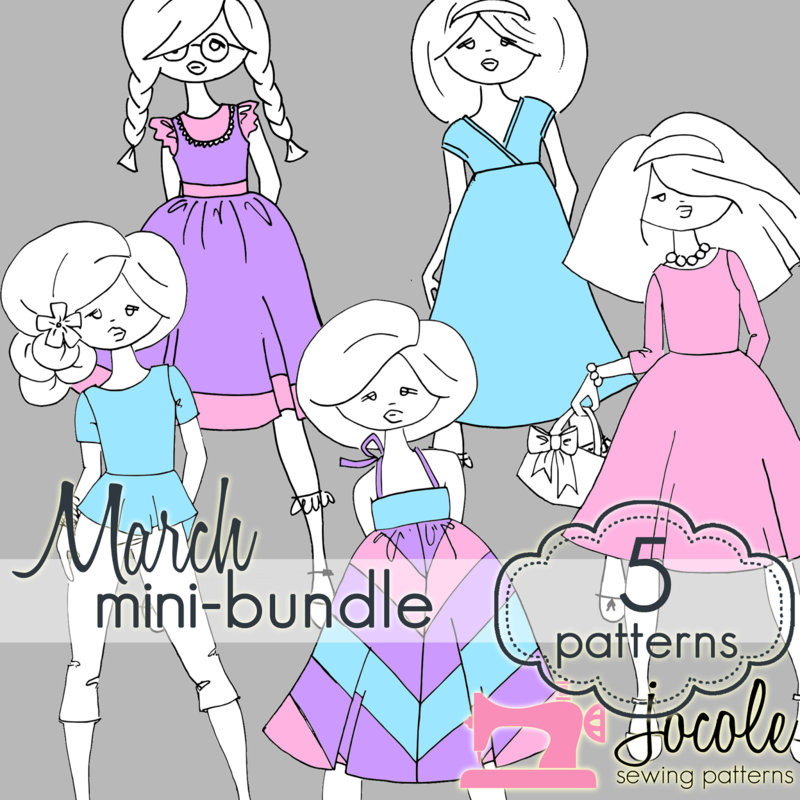 To go along with March 2015's Mini-Bundle that is on sale ONLY this month, we'll be featuring free tutorials on new ways to use the patterns that are included in the Mini-Bundle. You can order it HEREnow through March 31st at 11:59pm. I have the easiest tutorial for you today. Seriously, the easiest!!!! Do you have the Peplum Top pattern? Jodi has made a pattern piece to fit on the bottom of the Peplum to make it a plain t-shirt, in all sizes! Exciting! 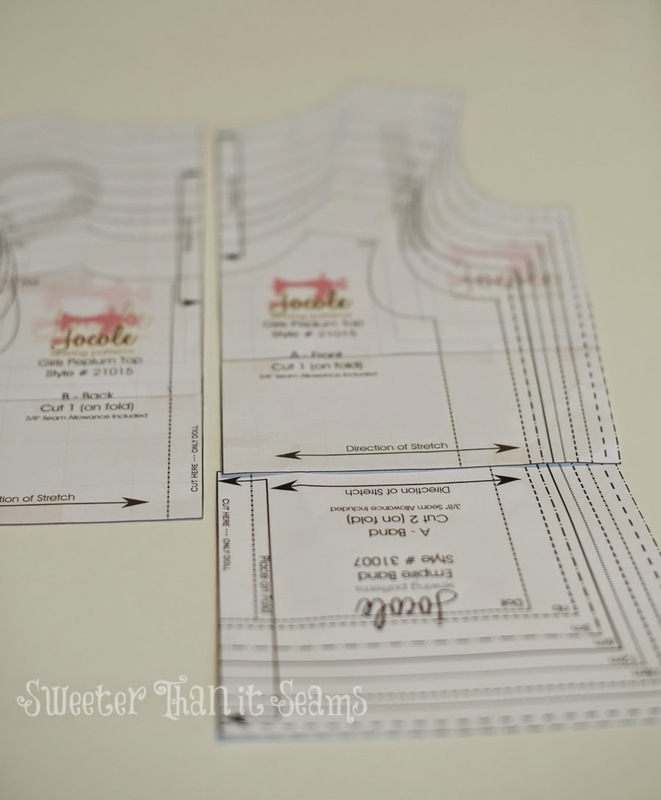 Print out the "Band" pattern piece and cut the desired size. Place the pattern piece along the bottom edge of the Peplum so that the fold line matches the Top Front (or Back) fold line -- you'll need to flip the pattern piece upside down. You can see below that the pattern now looks like a regular t-shirt. You will have Front, Back, sleeve and binding pieces. Follow the pattern as directed except there is no need to add the Peplum skirt onto the t-shirt. 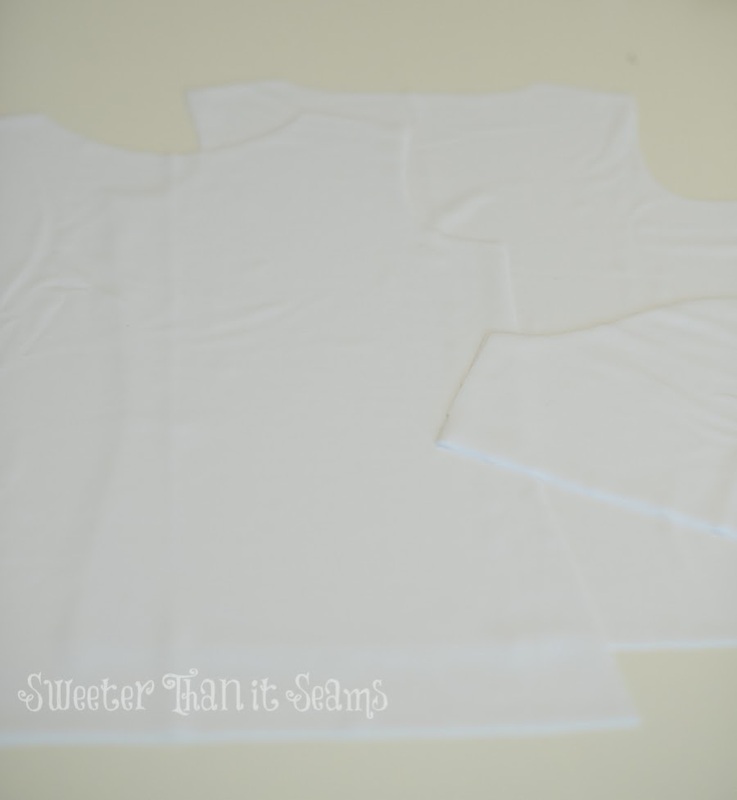 You have the perfect tee! I made this one in swimsuit fabric so my "little" can wear it to the lake this summer.